VLC Media Creator is a Free Video Editing Tool for Linux, Mac and Windows which comes from the developers of VLC Media Player. But how much useful it is ? As the developers explain the VLC Media Creator is based on the same code base as the successful VLC Media player. With the tool, an user can therefore expect the flexibility and robustness that have made the VLC media player so successful. The software comes up with an extensive feature set, without having to be too complex for the layman. Let us practically check it. Besides the usual editing functions, which in any modern video editing software may be missing, the program offers some other interesting features. This includes for example the ability to export finished movies directly from the program to Youtube and other video sharing sites. 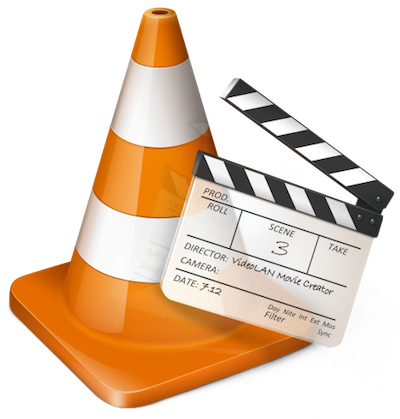 As like VLC player VLC Media Creator is able to import various video formats to playback and edit. From the project’s website, interested users can the software free download . There are different versions for Mac, Windows and Linux (Ubuntu, Archlinux, Gentoo, etc.). Applies, however, to note that VLMC still in early stage. One should not be surprised if you stumble across more bugs than usual. All Mac comes with iMovie. iMovie is a paid software and part of iLife but it is actually installed on any Mac for free by default. iMovie 11 works well and can compete with professional video editing softwares selling for hundreds to thousands of dollars. On the Windows side, Microsoft has Windows Live Movie Maker. It is a Free software for Windows. Although Live Movie Maker is not so much feature rich, it is matter of fact; it is quite advanced software. Remarkably, both iMovie and Windows Live Movie Maker comes with the feature to upload video directly to YouTube and other video sharing networks. In fact we have a guide to do the settings for Windows Live Movie Maker to enable uploading to Youtube with 2 step verification. So, actually it is difficult to predict how much success VLC Media Creator will get as to Edit the videos, the number of formats is limited for original source file and is in users’ control. Cite this article as: Abhishek Ghosh, "VLC Media Creator : Free Video Editing Tool for Linux, Mac and Windows," in The Customize Windows, February 22, 2013, April 19, 2019, https://thecustomizewindows.com/2013/02/vlc-media-creator-free-video-editing-tool-for-linux-mac-and-windows/.